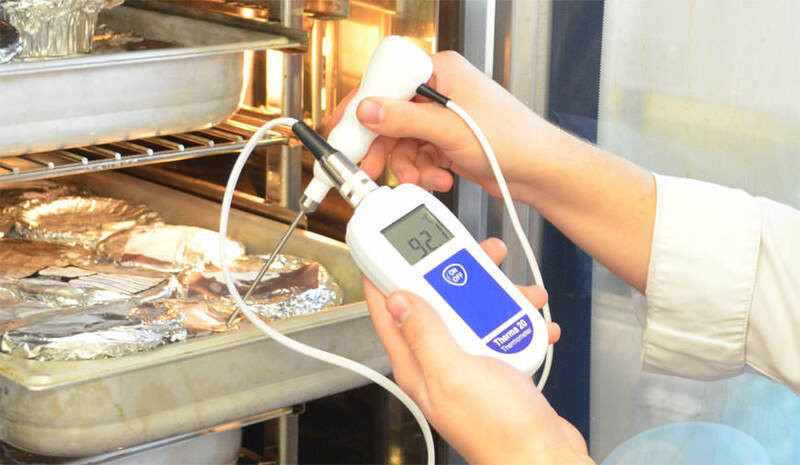 Selecting the right catering thermometer or food thermometer is very important in order to achieve maximum accuracy and repeatability of temperature. 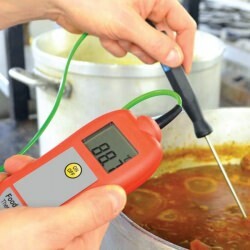 ETI offers a range of catering thermometers, food thermometers, oven thermometers and accessories that are ideal for busy restaurants, cafes, bars etc. where food safety is essential. Keeping fridges and freezers at the correct temperature is critical to ensure good food safety during storage. Food stored in a freezer should be regularly rotated and stored at between -18 as bacteria will not grow at these temperatures.